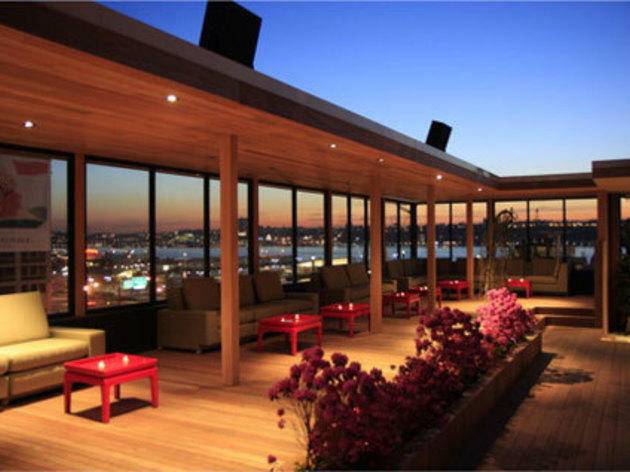 Once a strictly private-events space, this bi-level venue from the owners of Village Pourhouse opens its temperature-controlled, weather-shielded roof deck to the public. 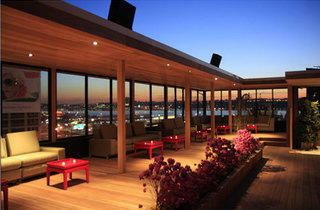 Drinks, which include cocktails like mojitos, as well as wine and beer, can be sipped while enjoying Hudson River views and items from the grill, including a duo of mini kobe burgers. 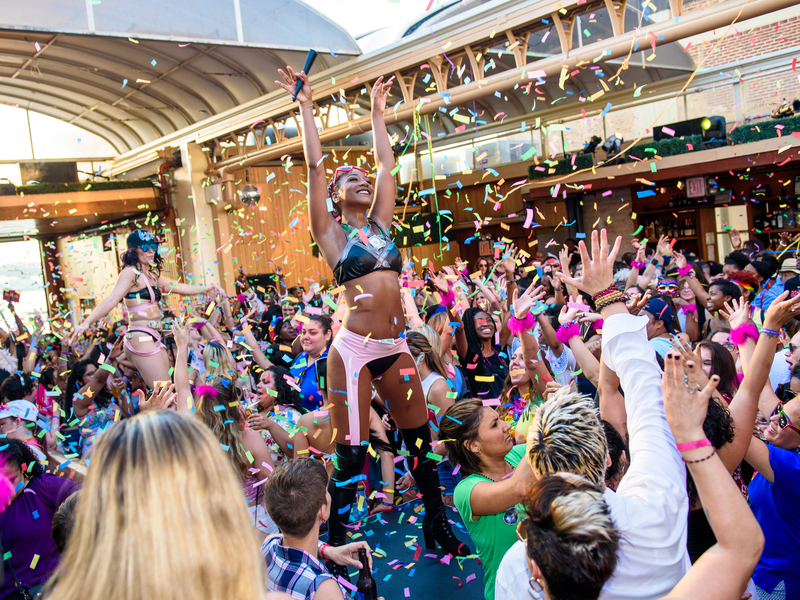 NYC Pride's official rager for women-identified revelers welcomes over 1,500 party girls to Hudson Terrace for food, laughs and nonstop dancing courtesy of DJs Mary Mac, Bonnie Beats, Nikki Lions, Lena and Kittens. Rip off - $8 to check a coat and umbrella, $5 to take cash out of the machine, and $20 for a drink - nice looking venue but not worth the prices!